Congratulations to BME Senior Chantelle Lim who received the Perdana Scholar Award. This honor is awarded to Malaysian students attending college in the United States and has been held every 2 years since 2014. This year, Chantelle was one of three students awarded the Academic Excellence Award. 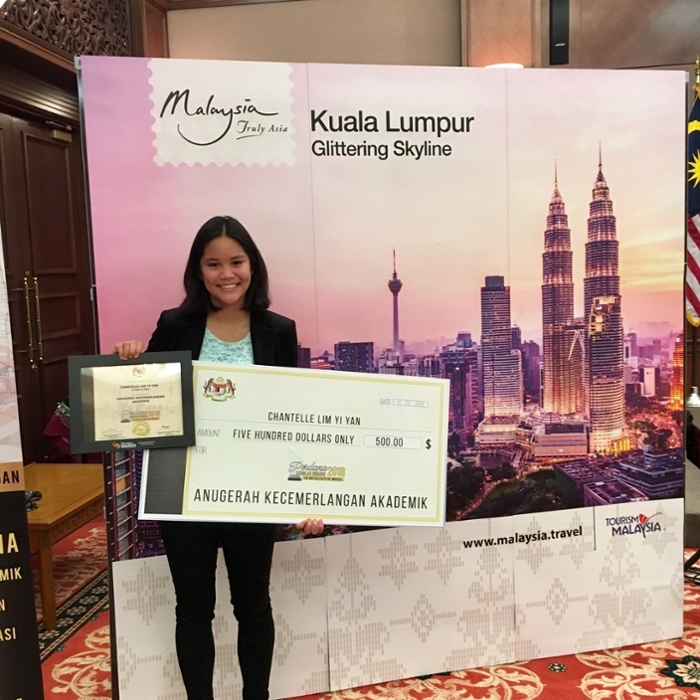 Chantelle and the other award winners were invited to the Malaysian Embassy in Washington DC for the award ceremony. Chantelle is currently serving as president of the local BMES Chapter.